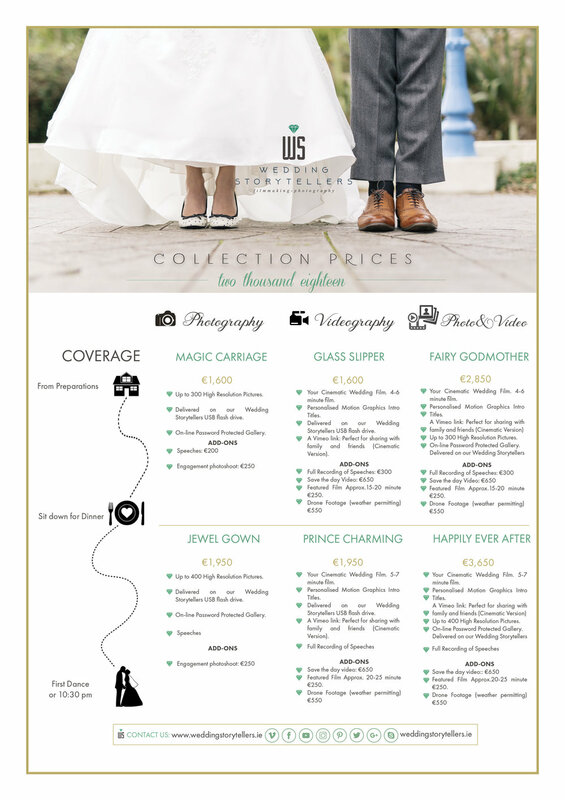 collections — WeddingStorytellers.ie | Wedding Film-makers & Wedding Photographers based in Dublin, Ireland. - The wedding is taking place outside a 100km radius from Dublin. A rate of €0.60 per km will be used to calculate travel expenses due on distance traveled. - The wedding is taking place over 150km radius from Dublin an overnight stay may also apply.